Rackline manufactures, supplies, and installs archiving and storage systems for libraries, archives, galleries and museums throughout the UK. Rackline Limited is one of the UK's leading designers, manufacturers and installers of high-density storage systems, excelling at meeting the requirements of libraries and archives. As a British manufacturer, all shelving and engineered components are manufactured in our Staffordshire factory. We are a genuine solutions-led organisation focused on resolving the current and future shelving facilities for our customers, specialising in providing increased innovative space efficiency. We offer a complete 'one-stop' solution including storage audit, planning, 3D drawings, project management, manufacturing and installation. All our systems are designed to conform to the latest BS5454 standards and are regulated by SEMA. 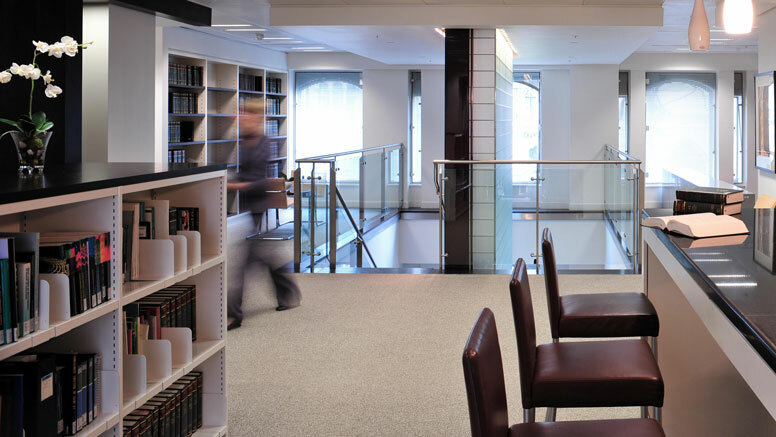 Rackline can provide libraries with a variety of differing shelving solutions including the Proform shelving which has no protrusions, edges or raised seams, ensuring even precious manuscripts or rare books are well cared for. Rackline has worked with diverse sizes of libraries. Our latest library projects have included the Royal Windsor Library, the University of Aberdeen Library, University of Reading Library and we are pleased to announce we have been awarded the contract to supply Manchester’s iconic Central Library with all its archive and library requirements including Rackline’s state-of-the art powered mobile system. Link to the Contact us page on the Rackline website. Storage and shelving solutions: making space work for you.